A crisis comms hunt is under way for an agency to support the multi-billion-pound Crossrail project. The £14.8bn London rail scheme, set to launch in 2018, was this week labelled the ‘biggest infrastructure project in Europe’ by Chief Secretary to the Treasury Danny Alexander. 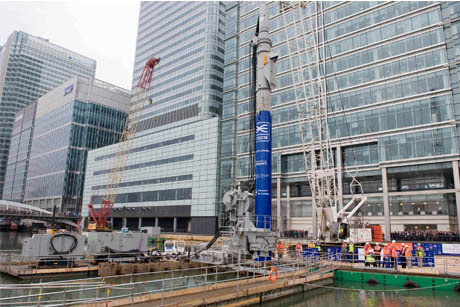 Construction work has already begun on the project, which should increase the city’s rail capacity by ten per cent by joining east and west London through the city centre. The cost of the scheme has sparked criticism and campaigners have targeted the impact of the extensive infrastructure work. Now those heading up the project by Crossrail, which is a wholly-owned subsidiary of Transport for London, are offering up to £250,000 for crisis comms guidance. The pitch document calls for ‘high level’ crisis comms training and to test Crossrail’s comms strategy and plans. Included in the scope of the work is a requirement to ‘test, review and revise’ Crossrail’s comms plans, as well as ‘preparedness’ and training requirements to ‘identify resources that may need to be brought in’. After initial outcry at the overall cost, controversies have built up around building work for the 118km route, which includes two 21km tunnels. This includes a perceived lack of consultation about the environmental impact of the work and anger over the disruption to businesses caused by construction of routes and stations. PHA Media launched a campaign to highlight the impact on local companies after it had to move out of its offices to make way for a new station in Dean Street. An agency is likely to be chosen in January, with work on crisis comms set to begin the following month.